A few weeks ago, I was catching up with a friend over a drink and he had a dozen questions about the trip and more specifically EFI. 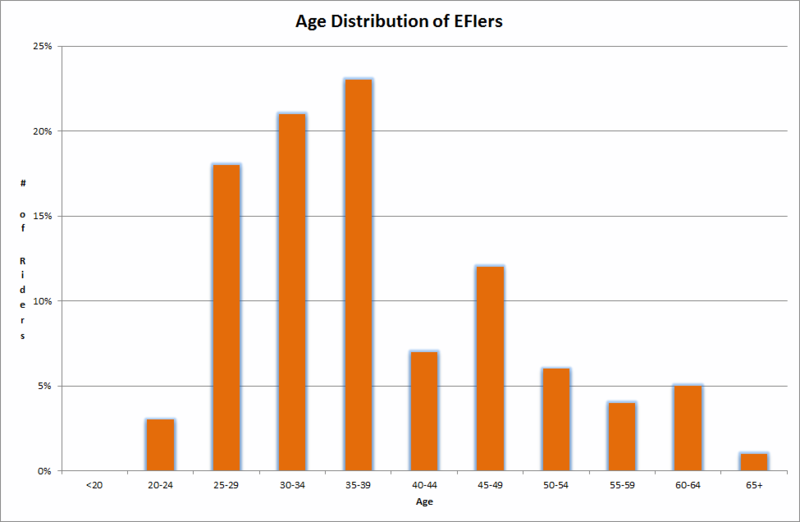 This Wikipedia entry details EFI fairly well but I was curious to find out what the breakdown of EFIers was, by age. Brian at Tour D'Afrique very helpfully extracted this data for me and I've combined it with the data from our trip below. 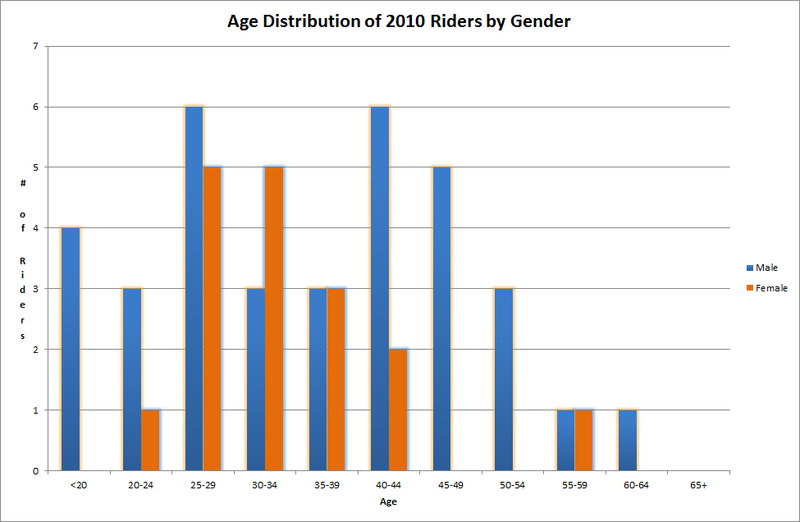 The bulk of riders are aged between 25 and 45. There are a reasonable number of younger riders but far fewer older riders - this is probably indicative of the fitness level required to do the trip. Using the data that Brian gave, I've plotted a histogram of the 100 EFIers ages on the graph below, again bucketed in 5 yearly intervals. There is a similar peak between 25 and 45, although here it appears to extend to 50. 40-44 is a little bit of an anomaly. I think this is due to fitness. There are no EFIers younger than 22. 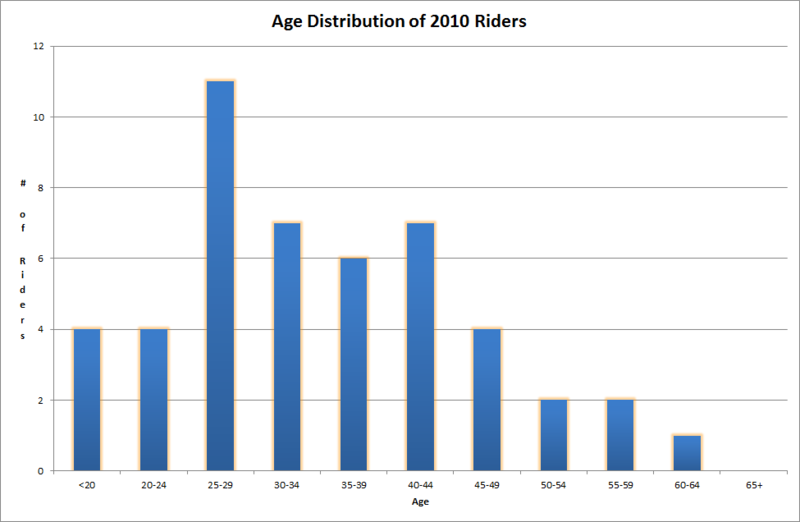 Out of interest, I've plotted the age distribution of EFIers against riders on our tour on the graph below. You should not that this is not statistically sound because the EFI data is taken from ten tours versus just one for the age distribution! 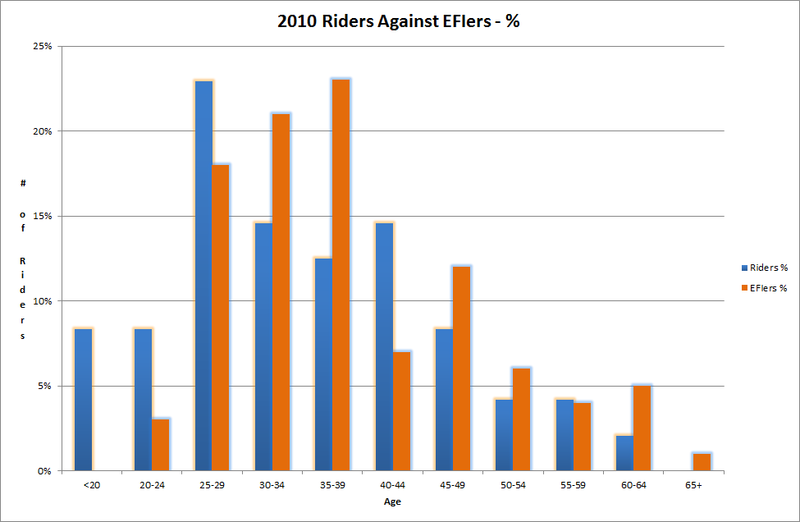 There are proportionally more older EFIers than riders on the 2010 tour. Whereas the peak bucket for riders is to be aged between 25-29, the highest proportion of EFIers are aged 35-39. In addition to the aggregate data above, I also have a gender breakdown of both riders from the 2010 trip and of EFIers. Women appear to be generally underrepresented in both our tour and as a proportion of EFIers as a whole. However, the proportion of EFIers who are women is much less than the proportion of riders on our tour. 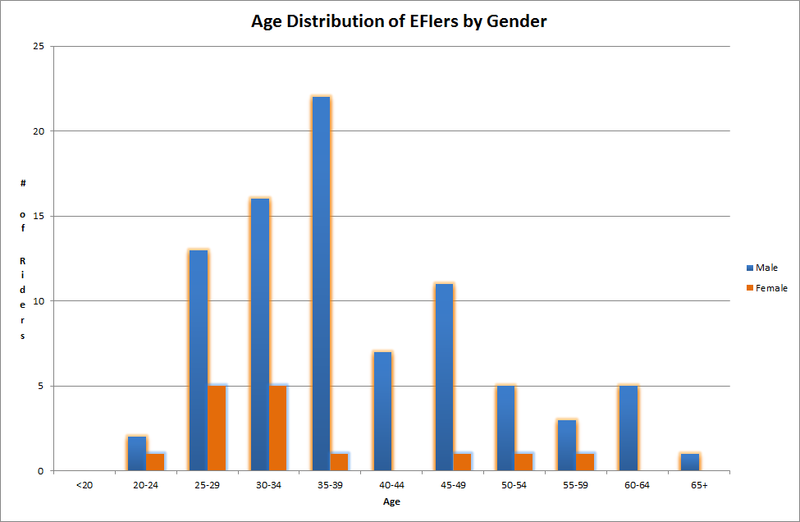 There's a roughly similar age distribution for EFIers - whether man or woman.